Collaboration with La_Trottier Dance Collective at Choreographic Center Baden-Württemberg EinTanzHaus e.V. 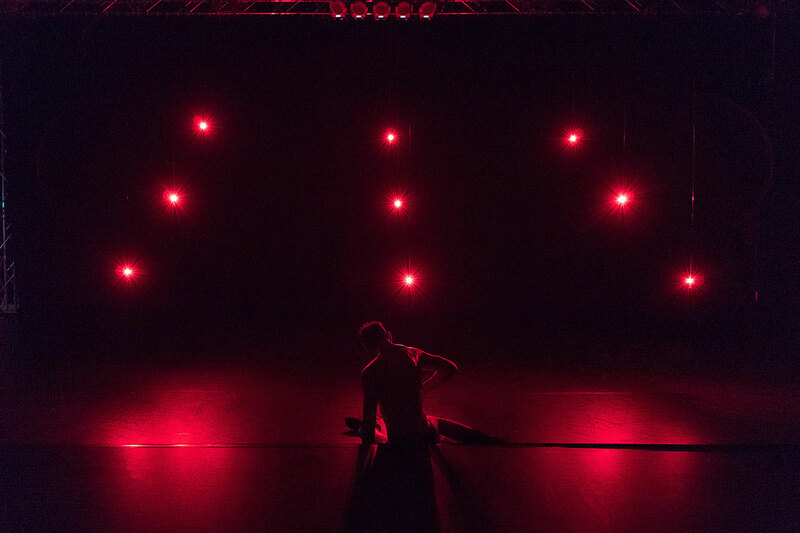 The solo of dancer Evandro Pedroni Éric Trottier deals with identities: With the given, the learned, the trained, with stereotypes, processes of discovery and with the question of the stability of identities in the age of social media. The starting point is Superman, a character most of us are familiar with: Superhero and introverted journalist, born on Krypton, becoming human on Earth, he stands for the confrontation with different facets of identity finding and as a symbol for double identity. 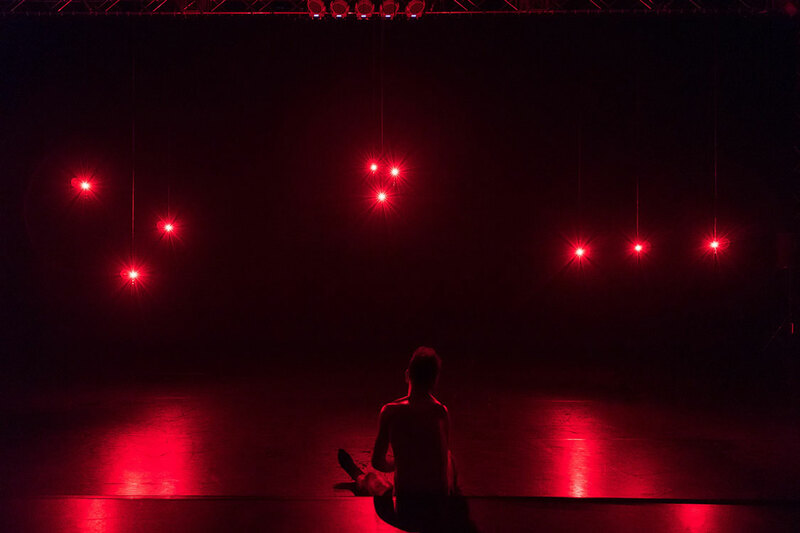 For the lighting design, the collective teamed up with multimedia artist Chris Ziegler, who collaborated with William Forsythe, among others, and organized the first dance media academy at the Kunstfest Weimar. In the last two years, he developed a lighting concept using motorized LED lights at Arizona State University (USA). This kinetic lighting system now create electronic media events on stage in the EinTanzHaus and makes it possible to create new perspectives on the figure Superman. 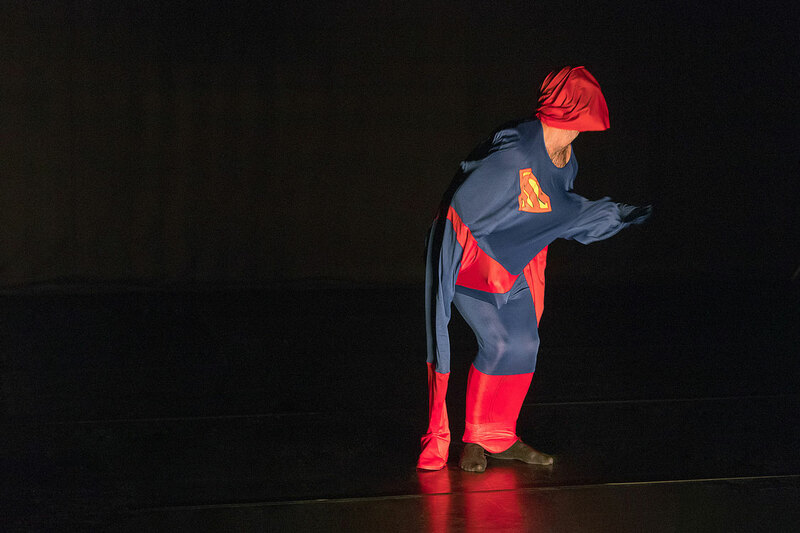 "With "Supermann" another work by Éric Trottier celebrates its premiere in the Eintanzhaus, the place of work of the Canadian choreographer with his La Trottier Dance Collective. And as so often before, he and his team of specialists for dance, music, light and costume have succeeded in creating a special work of art."